As you can tell, Raked has been a bit of a ghost town recently. There are a couple reasons for this. For one thing, I’m moving, which is limiting my time spent on the couch. The other, I’m switching cable providers, leaving me with an apartment that has no cable and no internet. You can see how difficult it would be to watch and write about TV in this situation. 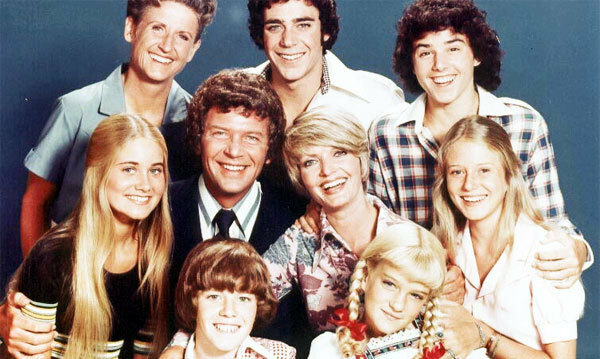 On the bright side, we do have a digital antennae, so we get the basic networks (as well as some lesser known ones, like MeTV, where I spent too much time on Saturday watching The Brady Bunch). Now, this is well and good if I want to watch the latest episode of New Girl, Smash, and The Amazing Race. But little did I realize how much time I spend watching channels that are on basic cable. So I’m curious, how much time do you spend watching the basic four: FOX, NBC, CBS, and ABC? How much time do you devote to the wee little duckling The CW? Or do you spend a lot of time elsewhere? So tell me. What’s your time on the networks? Would you be lost without dish, cable, or whatever you’ve got? Or are you on the other side of the spectrum and content with what’s free? Pretty simple question, and it doesn’t require a TV-related answer. I’m personally thankful for friends, family, health, and the many blessings life gives us. And hey, a kickass blog to keep me busy and great TV (even old favorites, like the one below) doesn’t hurt. So be thankful today. And share why in the comments. It’s the week before Thanksgiving. What does that mean? Christmas is right around the corner. If you haven’t yet been bombarded by holiday commercials and an already active holiday movie schedule on Lifetime and ABC Family, just leave your house. Tuesday was the first day I heard “All I Want for Christmas Is You” playing on an overhead radio at the mall. And while I’m not yet allowed to be in the Christmas spirit, I do need to start my holiday preparations. Last year, I made it my goal to watch 25 Christmas episodes in the 25 days leading up to December 25. It was my Christmas Challenge. I have to say, it was rough, but worth it, and in the end, I had a good, diverse set of Christmas shows to recommend watching — or staying away from, as the case may be. This year, I plan to do it again, though there is one caveat: I can’t include any episodes I watched last year. That will be a tough one, since I had a pretty hearty year last year. You can see the entire list here in slideshow form. Fortunately, I can watch the same series, just as long as it’s a different holiday episode. Nonetheless, I need your help. What holiday episodes should I be watching? What do you recommend? I’ve got my collection of DVDs, plus Netflix instant and disks, so hopefully, whatever you name, I have a chance to see. But I need to start my viewing soon. Let me know what you recommend now. In the meantime, enjoy your fall weather and your gobble gobble dinner next week. We’ll leave the red, green, and sparkly for December 1. Well, we’ve covered the old, the new, and the new again, so let’s go back to the old for a second. What returning show are you giving up on? TV Guide had a slideshow devoted to this (sorry I can’t find the link; if you’ve got the app, check it out), so I’m now asking you. Are there any shows you used to watch that you’re giving up on? I’m not sure if this counts, but if I have to choose, I’d say The Office. Here’s why I think it might not count: I gave up on The Office last season. But with tonight’s premiere of the ninth and final season, I considered coming back. I mean, NBC suckered me in by a promo focused on Pam and Jim’s relationship over the years. But the show has just been so bad, especially last season, that I just really can’t go back. It should have ended a long time ago, and for me, it’s already done. Ok, I might see how they end the whole thing, just out of curiosity, but that’s one episode out of 22. So in essence, I’ve given up. It’s fall, people! That means new episodes of our old favorites and new series premiering. It’s possibly the most exciting time of the year. It’s basically Christmas for TV reviewers. So what new series are you excited about? There’s a wide assortment to choose from. After all, later today, I’ll be attending a screening in Boston of the new show Revolution (and for you not in Boston, you can watch it early, too). It looks like an interesting premise, but I’m not quite certain what we’ll be getting yet after seeing more promos. 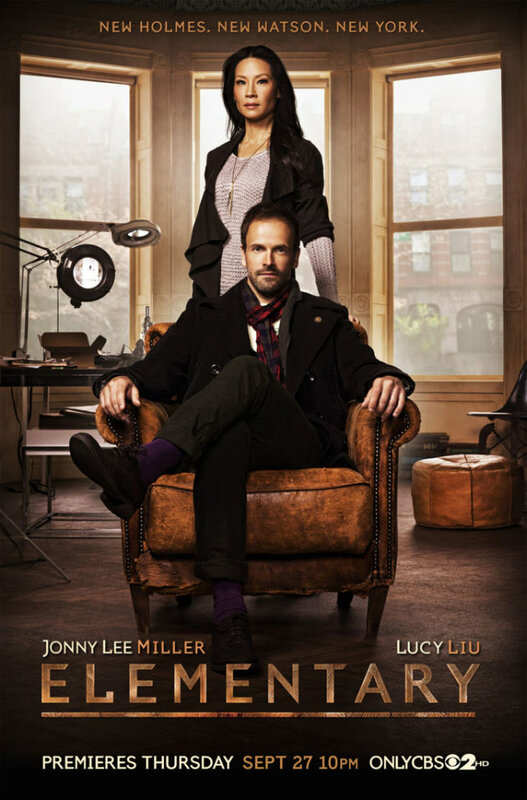 A show I’m particularly excited about (and I may be one of the few) is Elementary, starring Jonny Lee Miller and Lucy Liu, two of my current favorite-but-unappreciated actors. I may not be spoiled by the BBC series’ interpretation, so I won’t be watching it, playing a comparison game (even if they are two very different series). And frankly, I want to see what these actors can do. What else? Surprisingly enough, Arrow on the CW. Who would have thought a CW show would make the list? I have faith that they can do a superhero series right after Smallville (though now that I’m thinking about it, Smallville did have its best seasons on the WB). Nonetheless, I’m curious. I guess the last show I might add is Nashville, the newest show to join the singing and dancing trend. It’s not necessarily the songs that get me as much as the cast. Connie Britton has impressed me in recent years, and I’ve tended to follow Hayden Panettiere’s work around (perhaps I shouldn’t admit that; I even saw her horrible Bring It On sequel). While country music doesn’t grab me, the show might. Of course, I’ll have to get over my mild freakout that we’re supposed to see Panettiere as an adult. Anyway, that’s a small, initial list. I’ll, of course, catch some of the other shows, but those are the ones grabbing my attention right now. Here’s a list of the new shows that are coming up. What shows on your list? For any of you interested, looks like there are some sneak peek pilots of The Mindy Project and Ben and Kate online, too. And, of course, Go On is still available after its premiere during the Olympics. Feel free to check them out and report back. I can hardly believe it myself, but summer is just about over. Summer series are ending. And fall series are premiering. What does that mean? Our favorite shows are coming back! Hurrah! Hurray! Huzzah! What returning favorite are you looking forward to the most? With a sense of moderate caution, I mention Community. As much as I love the series, I don’t think any fans know what we’re getting into with a Dan Harmon-less season. But hey, it’s got a great cast, and I’m sure there are more wonderful jokes to come. But let’s talk drama because two shows rank high on my list: Revenge and Vampire Diaries. Revenge was a show I couldn’t get enough of last season, so of course, I want to see more. As for Vampire Diaries, that was one I wasn’t too convinced by last season, but the final episodes grabbed me. And that final reveal? Whoa. So yes, those are my top three. What are you looking forward to returning? A lot has been said lately about the Olympics this year. Since it’s considered the first “social media Olympics,” that means a lot more people are on Twitter, reporting reactions to events and winners at speeds like no other. I’m not following the headlines religiously on Twitter, but the few moments I peruse Facebook in the course of the day has shown me quite a few reactions and photos that reveal winners of the day’s events. Now you all know me. I’m not the biggest sports fan. But I do enjoy the Olympics. Now, some “spoilers” I could care less about (I have a whole different post I could write about whether these should really be coined “spoilers,” but I won’t digress here), and others — like the women’s team gymnastics final — I really wanted to be surprised by, so in those cases, I keep my distance. That being said, these are taking place five hours before my viewing experience, so if I find out, I find out. But I’m in the minority. There have been many people upset by the coverage, the spoilers, what they’ve seen, and what they haven’t. NBC’s being attacked left, right, up, down, and in between. I’m not NBC’s biggest cheerleader (if you met me in the ’90s, you would be hearing something else entirely), but I can’t say I’m really against what they’ve done so far. If anything, I’d follow the message of this guy and The Onion over those complaining. But again, I digress. How has your Olympic experience been? Have you enjoyed it? Are you annoyed with being spoiled? Have you even noticed the social media buzz at all? How are you watching, and what are you missing? Now’s the time to spill it. Let it all out. There you go. Just comment.